Articles for January 2017 Year » TopFreeSoft.Net - Best Freeware Software! 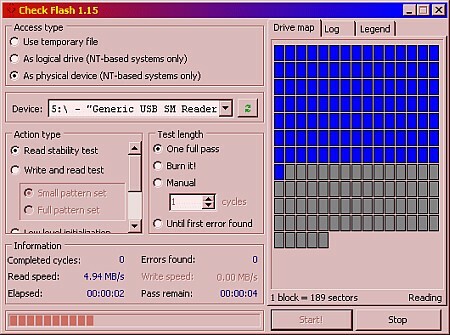 Multi-purpose flash drive testing and maintaining tool. Can work with all types of flash-drives and flash-cards. With /All switch can deal with all storages, including internal HDD. Except surface testing, allows check speed of reading and writting, edit partition info, save and restore full drive and partition images, save and restore MBR. Also can perform full drive or prtition cleaning. Process speed is highest what given device can provide, no more fast full test can be found in the world. Locates & Removes many new dangerous files including Spyware, Malware, Virus, Worms, Trojan's and Adware that other popular AV programs do not find. This program is unique as it detects dangerous files that many other popular programs do not detect. In addition, it offers full reporting of active processes, services and startup files. On main window click on button to scan your computer. If new tasks are discovered click on button to clean your computer. Also you can add located tasks to quarantine if you not sure that the files are dangerous. Active processes with full process path. Windows startup files. Services. Discovered dangerous tasks from our database. RemoveIT Pro will automatically upgrade the core program and database.